We have a few favorite Halloween traditions. One of them has been to visit the city zoo for a "Boo at the Zoo" event. I've been attending every year since I was a teen when it started in the 90's. Todd and I brought my brother one year when we first started dating! This year the zoo is undergoing a huge renovation and face lift, so that event was canceled. Then there is the Zombie Walk, which we've enjoyed for the past few years but was also canceled due to a very recent city bylaw restricting large groups of people to congregate without a parade permit. That was a bummer. 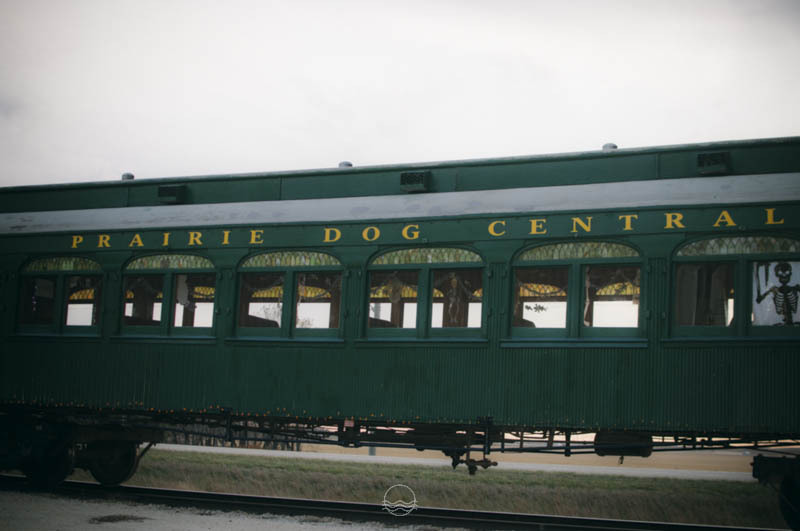 It was time to try something new so we decided to book tickets to take a ride on a century old steam train, the Prairie Dog Central. 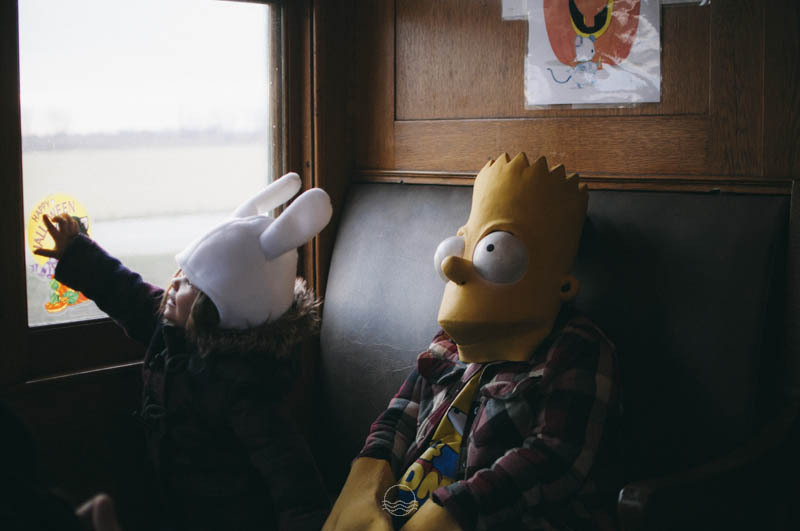 Each car had Halloween themed decorations, the kids dressed up and got goodie bags, ate hot dogs at stop midway, cheered for some juggling with a fire baton and pumpkins and visited a haunted boxcar back at the station. 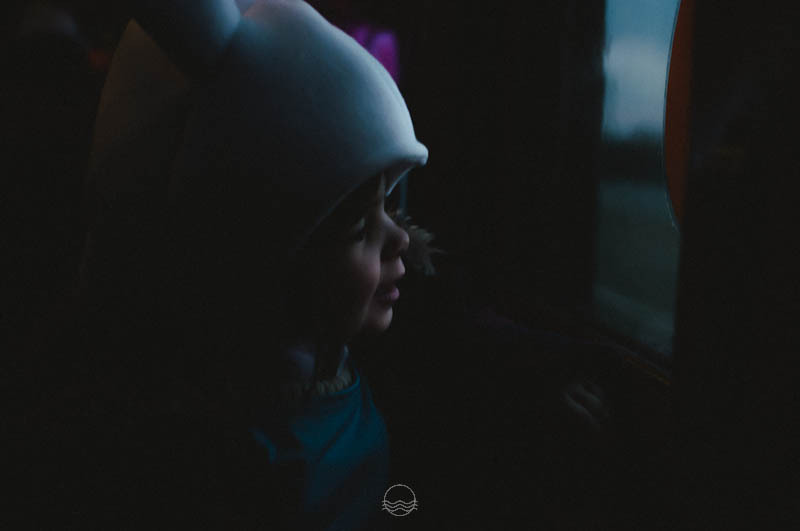 Eve is thrilled with trains lately so she really thought the ride was cool. Luke said it was like being on the train to Hogwarts. 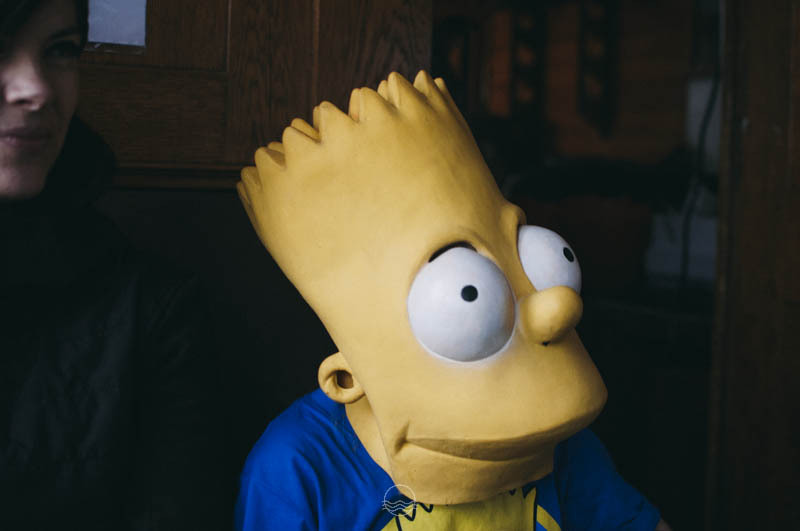 He wore Todd's 23 year old Bart mask & hands. Looks like we snuck a bit a tradition in there after all.